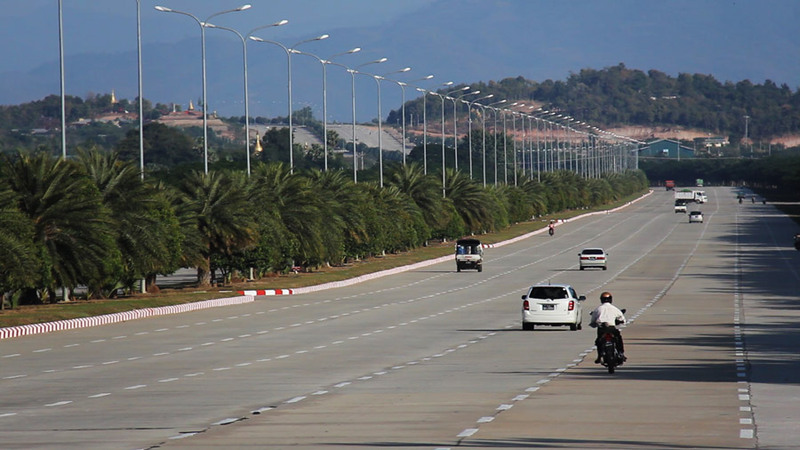 Naypyidaw isn’t Myanmar. Technically it is — in fact it’s the capital, but Naypyidaw isn’t Myanmar. It’s vast and grandiose. It’s quiet and underpopulated. It’s lacking the edge that the rest of the country has. Naypyidaw was built as a administrative center, where the government and military could hide away from the rest of the Burmese. There are many rumors about how the government wanted to be away from the sea. How they hired North Korean engineers to help them build tunnels under the city. How the enormous 10 lane highways, which gets almost no traffic, was built so planes could land and take off on it. Of course, I can’t say if any of these things are true, but I can assure you that Naypyidaw isn’t Myanmar. Considering the 3-4 billion dollar price tag (in a country where 25% of the people live below the poverty line) it’s the perfect example of the corruption in the country. Big, fancy, ornate… but empty. Unnecessarily large highway, or runway for quick escapes? Planning a trip to Myanmar? Have a look at our 2 week guide to Myanmar. It’s filled with everything you need to have an amazing experience in one of the coolest countries I’ve ever been to.